On the 7th day of Christmas, my true friend gave to me. A Cube Christmas Gift Box ! 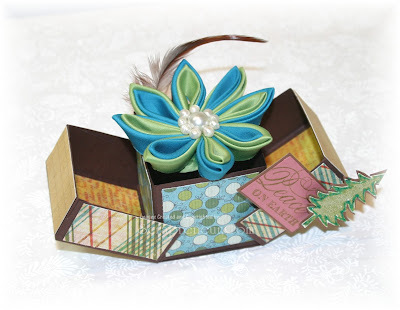 You can find the tutorial of this box here. 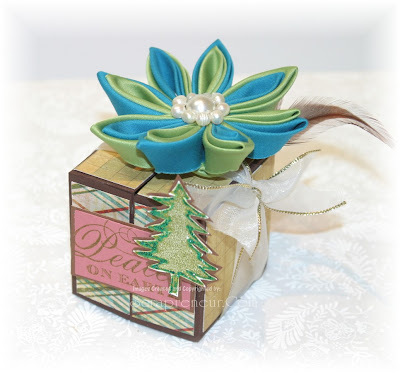 This cute little box is a great packaging for a very special Christmas treat! I like the way that this gift box opens both ways while the box remains in the middle. This gift box is very unique and easy to make. I used this Cube Gift Box to package my ornaments and fabric hair barrette. The below photo is how it looks when the Gift Box is closed. 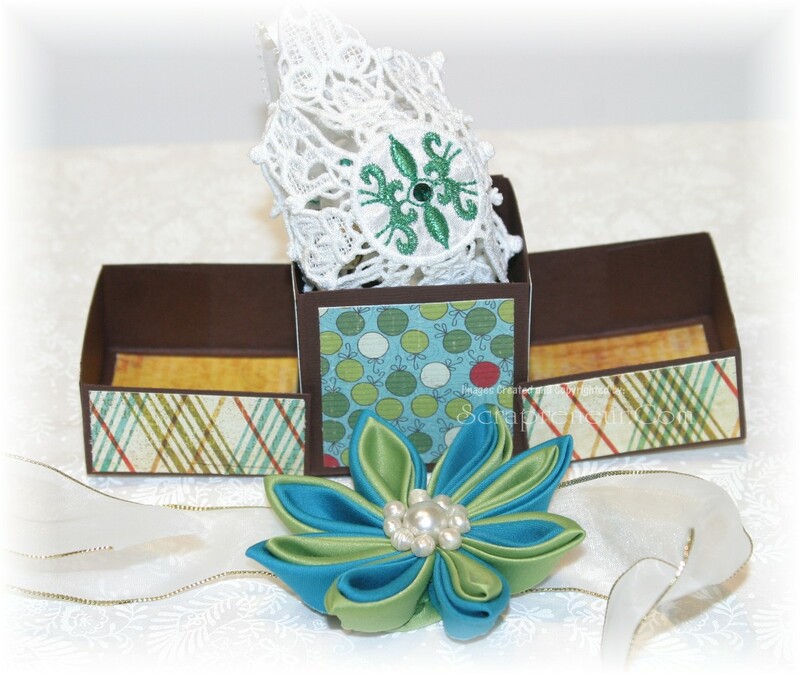 I secured the box with an organza ribbon. The step by step tutorial will be available on the 12th Day of Christmas. 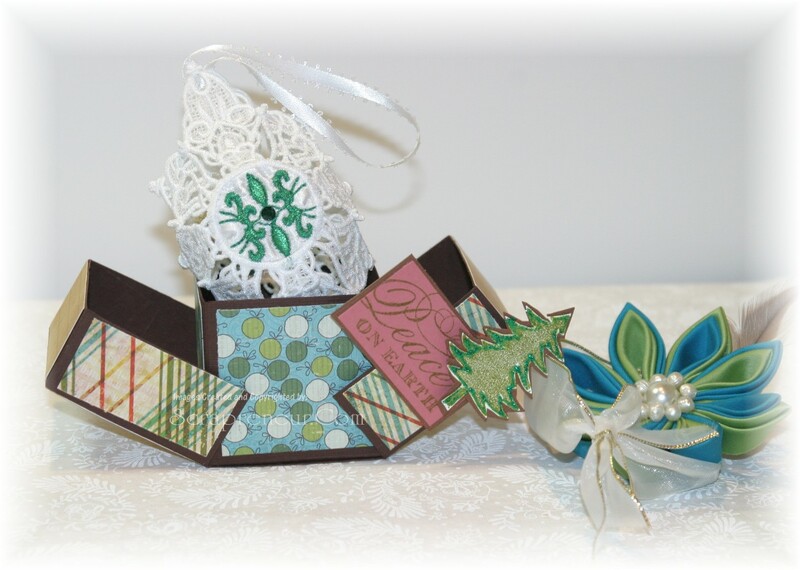 I might be releasing the 1st half of the 12 Day of Handmade Christmas gift E-book early so please stay tuned.